Understanding what dietary supplements to take and if even indicated for you is an important step towards saving money and improved health. Rebel Med Northwest providers Dr. Andrew Simon, Dr. Jessica Wendling, and Dr. Jessica Schule provide a free 15-minute consultation, that allows you to understand the appropriate, safe, and researched methods for taking supplements for various health conditions. Unfortunately, there are a lot of bad products out on the market, as supplement manufacturers aren’t held to the same standards as drug manufacturers from consistency and quality standards. Just see this report about low-quality supplements at Target, Walmart, or GNC. The products we carry at Rebel Med Northwest meet our quality standards, and our recommended in various health conditions as a means to improve our patients health to a more sustainable level with diet and lifestyle, and to counter the ill effects of our environment. The Rebel Med Northwest team will only provide the safest and most researched use of dietary supplemental aids to help facilitate your journey to wellness. Additionally, part of Rebel Med NW’s philosophy is central to the principles of Naturopathic Medicine, to restore your body’s ability to gain its nutrition and ability to heal through food and the environment, therefore alternatives to supplements are provided as indicated including over the counter and prescription medicines available through your health insurance’s drug formulary. We provide info sheets on many of our dietary supplements so you can provide this information to your other health care providers, while additionally performing interaction checkers to make sure you do not have an adverse reaction with a medication. 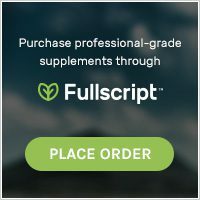 Purchase products through our full script virtual dispensary for established patients. Rebel Med NW uses top-tier supplements and herbal remedies that are from well-respected manufacturers in it’s online and Ballard dietary supplement dispensary. Rebel Med NW provides discounted access to dietary supplements to encourage the use of higher quality at a lower cost and does not make a profit off of supplement sales, as a means to support access to care for low income and Washington apple health medicaid clients.